Miss Snark, the literary agent: Show me the damn money! When does an author get paid? Hypothetical situation: Author who is signed with an agent makes a deal with a publishing house, an advance is on the table of $10,000. Publishing date has been set for January 2007. After the agent gets her 15%, when does the author get her part of that advance? I have been told it's when the book is released. Is that correct. Only if you have the world's worst agent. Standard terms are half on signing the contract, half on delivery or acceptance of the manuscript. There are variations, particularly when you're in the rariefied air of seven figure advances but $10k isn't that. You sign the contract. It goes back to the publisher for countersignature. You get your copy and a check. Probably two months. Don't count on this money to fund your rent or your kidney transplant. It's absolutely slow and unpredictable. Sometimes the contract says "1/3 on signing, 1/3 on delivery and acceptance, 1/3 on publication". It depends on how your agent negotiated the deal. 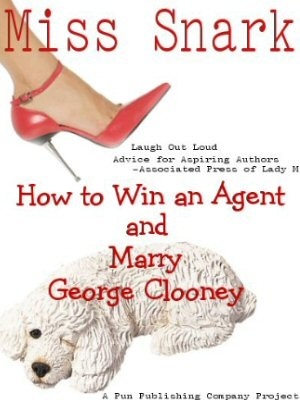 The red flag for me in this is "After the agent gets her 15%, when does the author get her part of that advance? I have been told it's when the book is released." I SINCERELY hope it wasn't your agent telling you this. This is how it works: the agent gets the check from the publisher. The agent then sends you a check for 85% of the amount she received. (Because 100%-15%=85%). The agent does this ASAP. Like, as soon as the publisher check clears in the separate account your agent SHOULD have set up to handle the clients funds. The agent has no right or reason to hold onto your money, and if the agent does, look into getting separate accounting... or better yet, a new agent. If the agent has already been paid, look for money 10-20 (depending how adept at administration the agent is)from the date the check clears for your share. P.S. AAR says ten but don't hold your breath for most agencies. anon is right. I didn't even think of this question as the time between agency getting dough and sending it along. There are legal requirements about this; not just "industry standards". Your agent is not allowed to hold your money longer than 30 days I think, but I'd have to ask Shyster Snark. I turn money around in seven days. Check comes in on day one, clears by day seven, check to author mailed that same day. This is for domestic funds. International money takes longer unless it's drawn on a NY bank. Muahaha! I can finally make a semi-meaningful contribution. As a writer who has a contract for book release Jan 2007, I can tell you that my advance was split and everything is up to 90 days, meaning it may take payroll that long to process. Biggest chunk of money, about half came in approximately 45 days after signing contract. Another chunk comes in on first printing. Another chunk on turning in the sequel. And the last chunk on sequal publication. All this is spelled out in the contract itself. Turnaround time between the agent getting a check and me getting it was, oh I don't know, maybe 3-5 days, post included. Thank you for the comments.. Yes, I am the snarkling that asked the question... and NO my agent did NOT tell me I had to wait until publication to get my money, that was a rumor I had heard from someone else. I don't have an agent. I'm still working on that part.